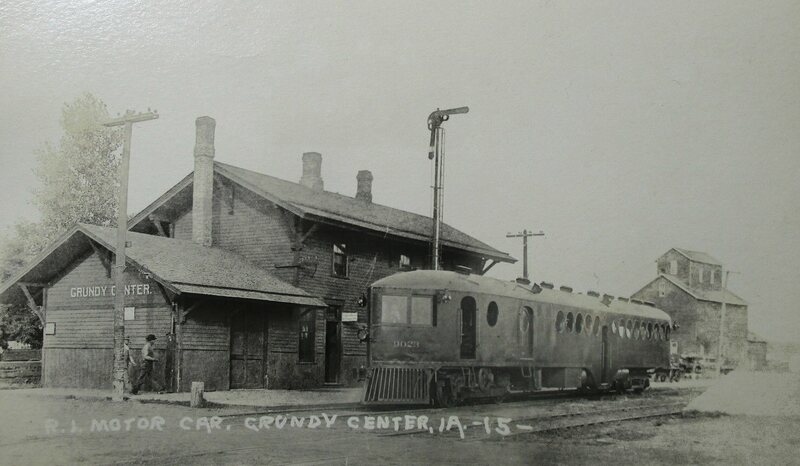 Chicago, Rock Island and Pacific Railroad | The McKeen Motor Car Website Chicago, Rock Island and Pacific Railroad | The Compendium of Knowledge on the McKeen Motor Car Company, and their experiments. 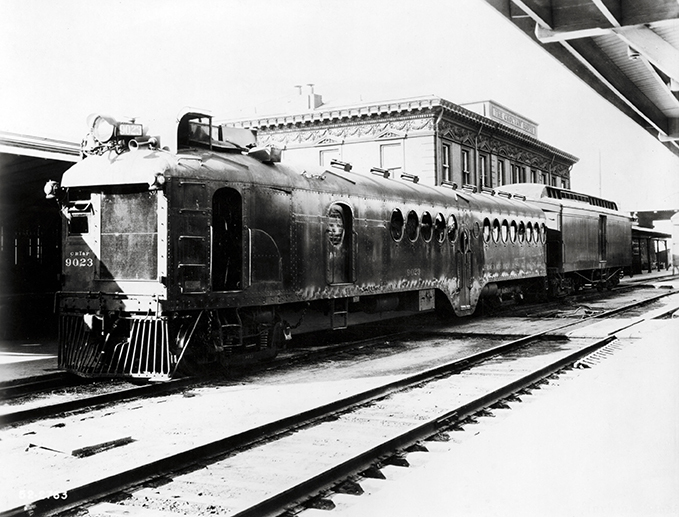 The Chicago, Rock Island and Pacific Railroad bought one McKeen Car as a sample, for an estimated $20,000-22,000 (around 1/2 Million dollars now-a-day.) It was a 70′, 30 ton car, that could, comfortably, carry 64 passengers, and was finished in late 1909, numbered 9020. 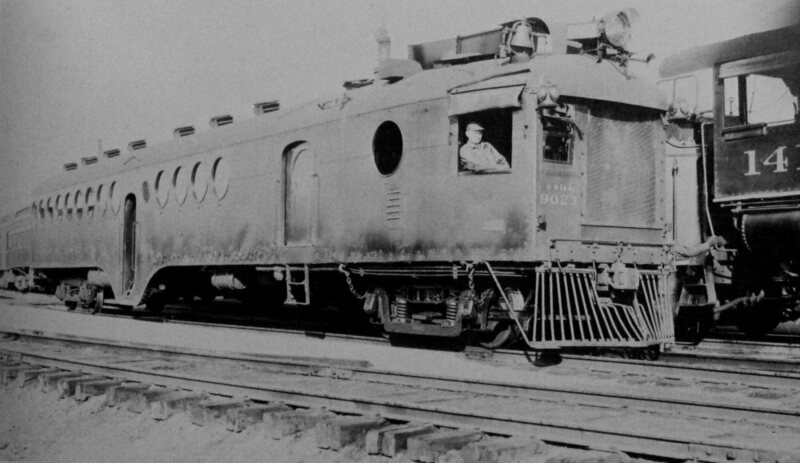 This car was tested, and the railroad bought three more of the same car, except these had room for only 48 people, meaning they had more room in the baggage area. The three later cars were finished later 1910. 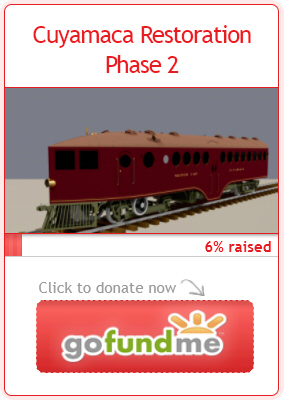 Here we have an early photograph of car #9023 before 1925, when the car’s nose was cut off. 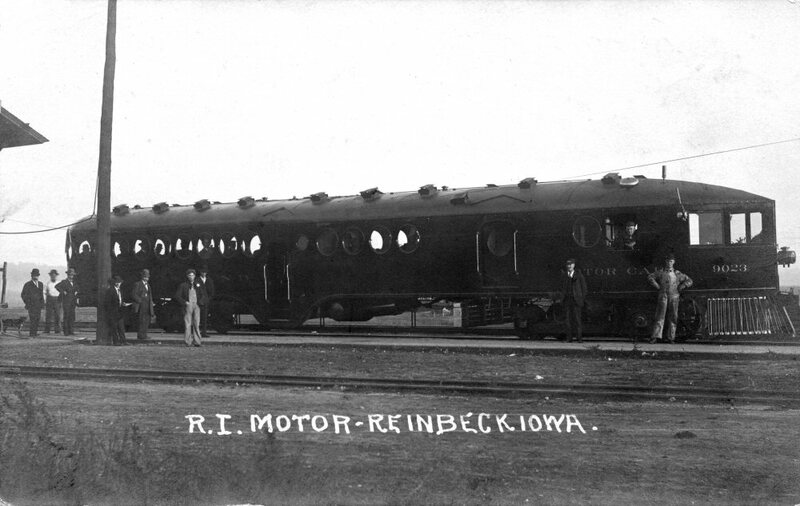 Here’s a photo of Rock Island #9023 at Reinbeck, Iowa. Here’s the #9023 before any major modifications were made to the car. 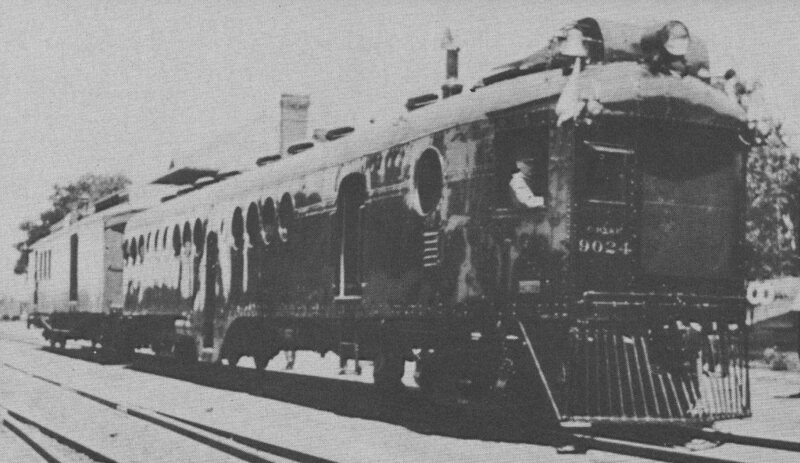 Here’s a photo of #9023 after the Brill/EMC conversion done in in May of 1925. Photo Courtesy of Railroad Model Craftsman, August 1966, Page 23. Here is a rare photo of #9024, one of five McKeen Cars on the Rock Island.